Before Hololens was more than just a glimmer in Satya Nadella's eye, before Tim Cook realised there was money to be made in this augmented reality business, there was Google Glass. The face-mounted computer, running a dramatically altered version of Android, divided users when it was first released back in early 2013. Its small screen wasn't very comfortable to use, and its price tag was that of a half decent car. But with interest in AR activities booming once again, it's now making a return thanks to Google partner Streye. From today, it's selling a slightly updated version of the Glass, called the Glass Enterprise Edition, with prices set at €1,550 (around £1,400 / $1,830 / AU$2,310). The changes are minor – a larger 780mAh battery will see the Glass go the distance a little longer, while storage has been doubled to 32GB. An Intel Atom processor now sits inside along an improved Wi-Fi chip, while there's assisted GPS and a louder speaker tucked away in there too. But the form factor and screen otherwise remain the same. 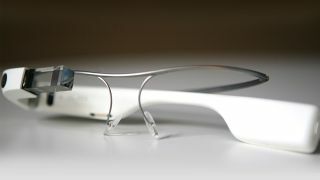 As its name suggests then, the Google Glass Enterprise Edition isn't really for the average Joe. Instead, this is a play to get Glass back on to the radar of businesses, with each purchase also giving access to Streye's enterprise streaming services. But the timing is certainly interesting. This summer's WWDC saw the biggest hint yet that a pair of Apple AR glasses are in the works, while this winter will see Microsoft's Windows partners release a bevy of mixed-reality headsets, too. It seems Google is happy to remind everyone who was walking this path first.